The Twistettes are sisters Jo and Nicky D’arc. With their dirty, twisted bass sound, a hit of swinging flare and thumping driving drums: they are punk, riot grrrl, real-deal indie with a touch of pyschobilly. 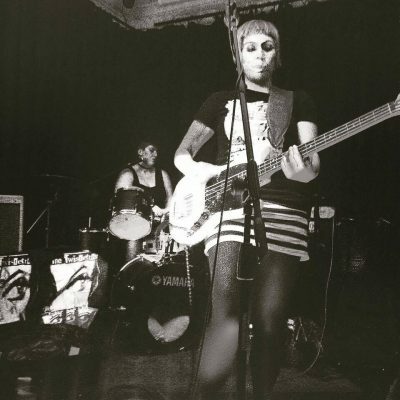 The Twistettes have a strong DIY ethos which has lead them to connecting with other like minds and becoming involved in a variety of eclectiv gigs, festivals and parties. Through this, they have performed at various venues ranging from the legendary Glasgow Barrlowlands to secret underground parties across the U.K. and beyond. Debut album ‘Jilt the Jive’ was released in 2016 with a soldout launch night and a string of tour dates.